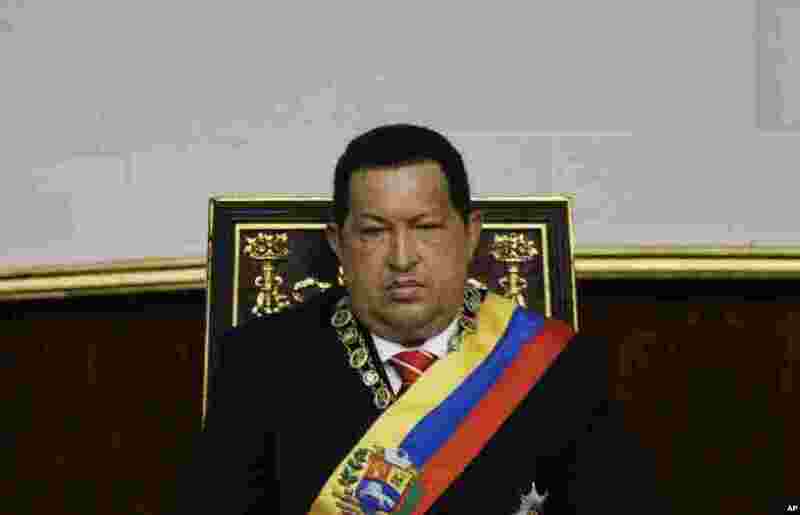 Venezuelan officials say President Hugo Chavez has died after a long struggle with cancer. 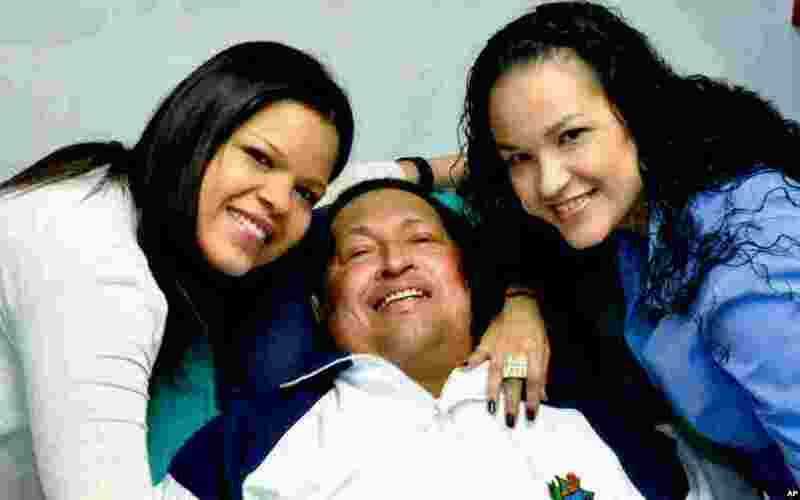 1 Hugo Chavez with his daughters, Maria Gabriela, left, and Rosa Virginia at an unknown location in Havana, Cuba, February 14, 2013. 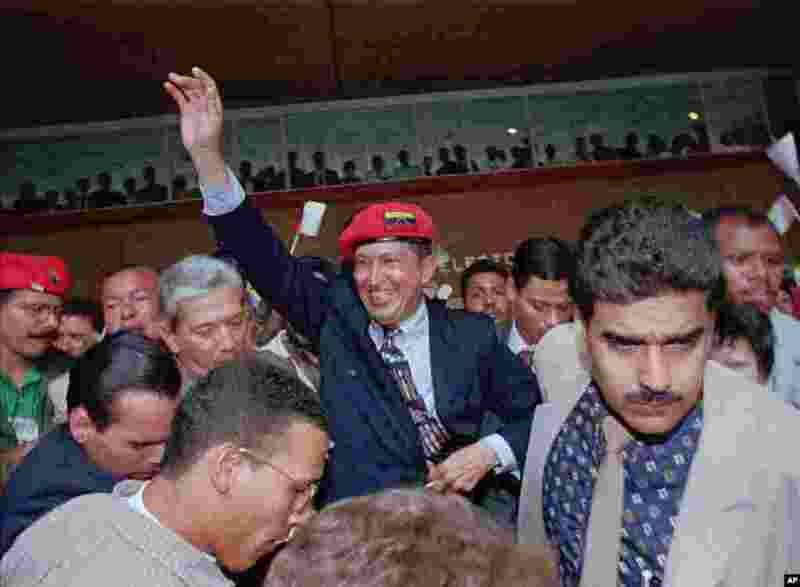 2 Hugo Chavez speaks at the Plaza Caracas, Feburary 4, 1998 during celebrations for the anniverary of the 1992 Venezuelan coup. 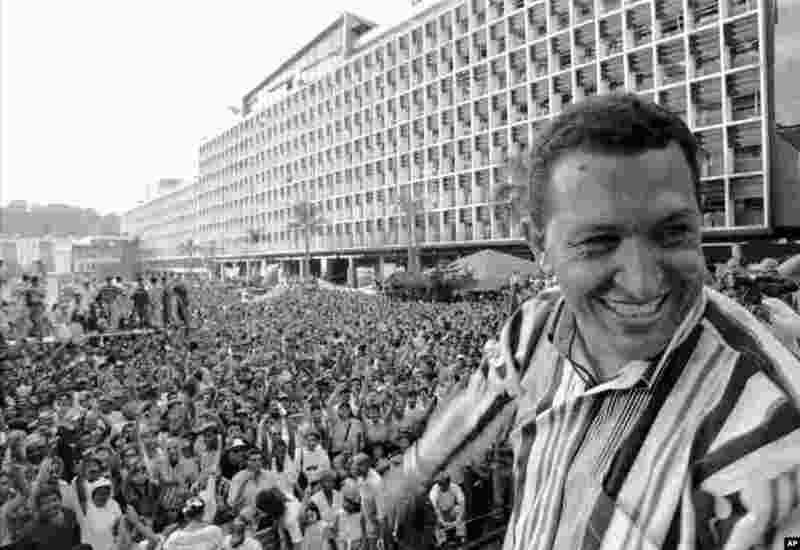 3 Chavez waves to the crowd after announcing his candidacy for the presidency in downtown Caracas Plaza, Venezuela, July 29, 1997. 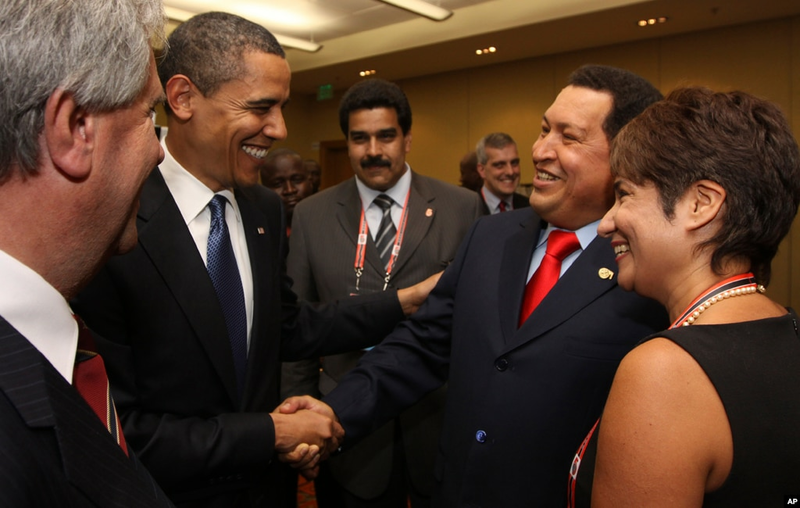 4 President Barack Obama shakes hands with Chavez before the opening session of the 5th Summit of the Americas in Port of Spain, Trinidad and Tobago, April 17, 2009. 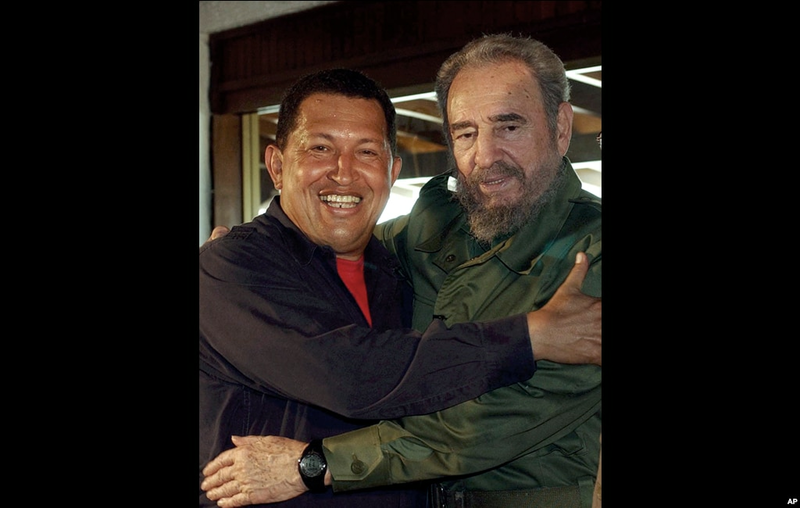 5 Cuba's Fidel Castro, right, and Venezuela's President Hugo Chavez embrace in La Orchila island, Venezuela, December 22, 2003. 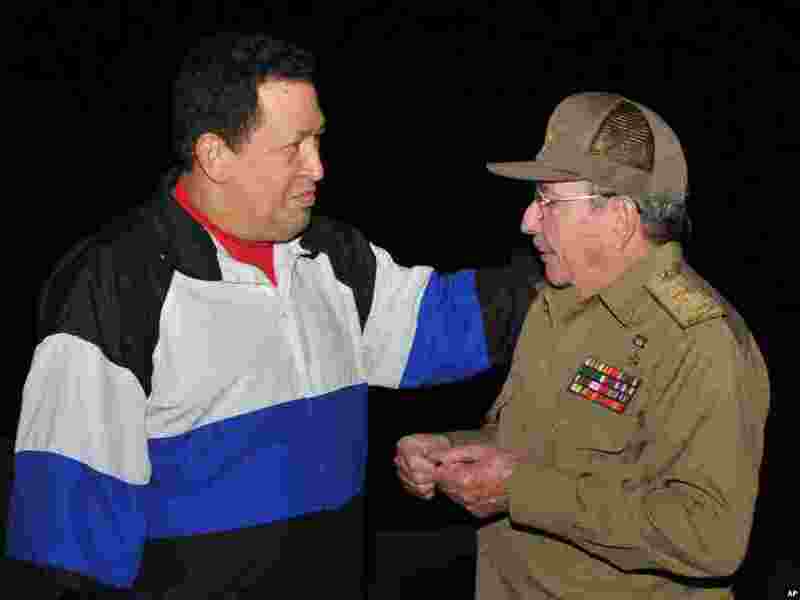 6 This picture released by Cuba's state newspaper Granma shows Cuba's President Raul Castro meeting Venezuela's President Hugo Chavez at the Jose Marti International airport in Havana, Cuba, December 10, 2012. 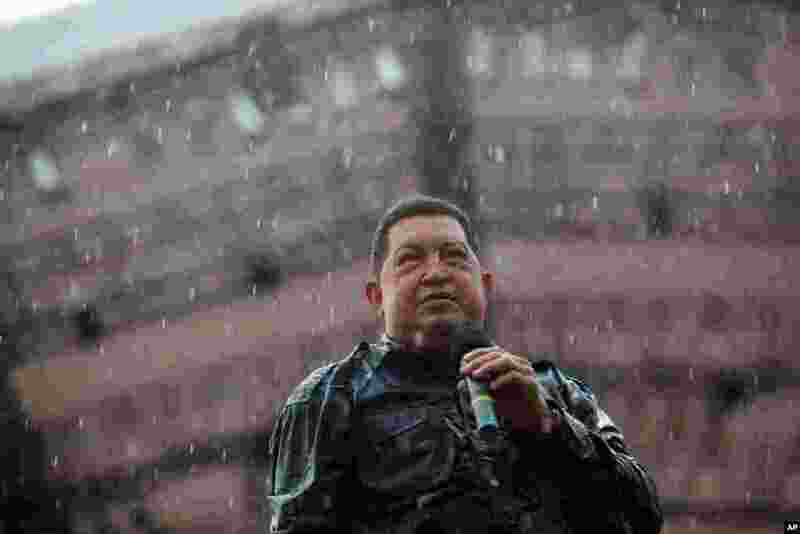 7 Hugo Chavez holds a microphone under pouring rain during his closing campaign rally in Caracas, October 4, 2012. 8 Chavez attends a special session at the National Assembly commemorating the country's Independence Day, in Caracas, Venezuela, July 5, 2012. 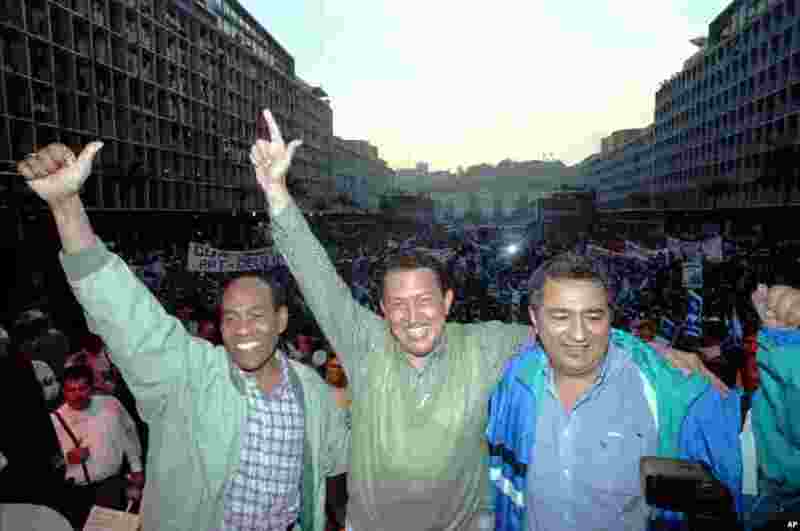 9 Hugo Chavez, center, Aristobulo Izturi, left, and Pablo Medina appear at a Caracas rally Friday, April 24, 1998. 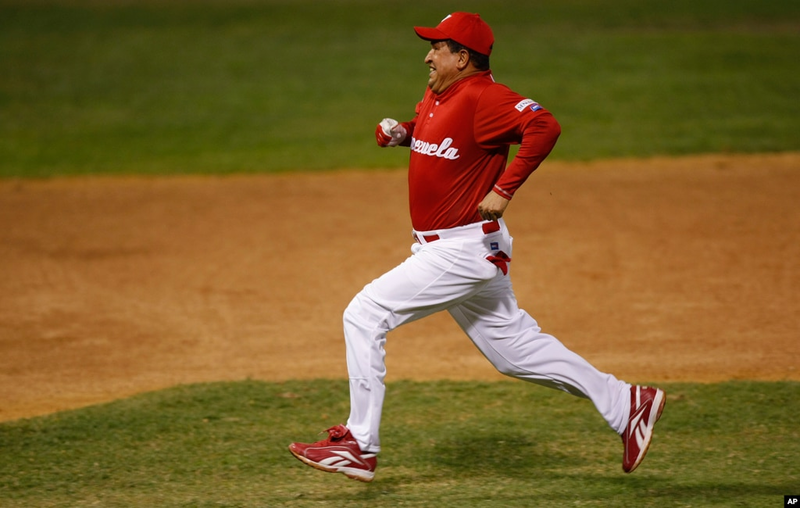 10 Chavez runs the bases after hiting a double during an exhibition softball game in Caracas, February 11, 2010. 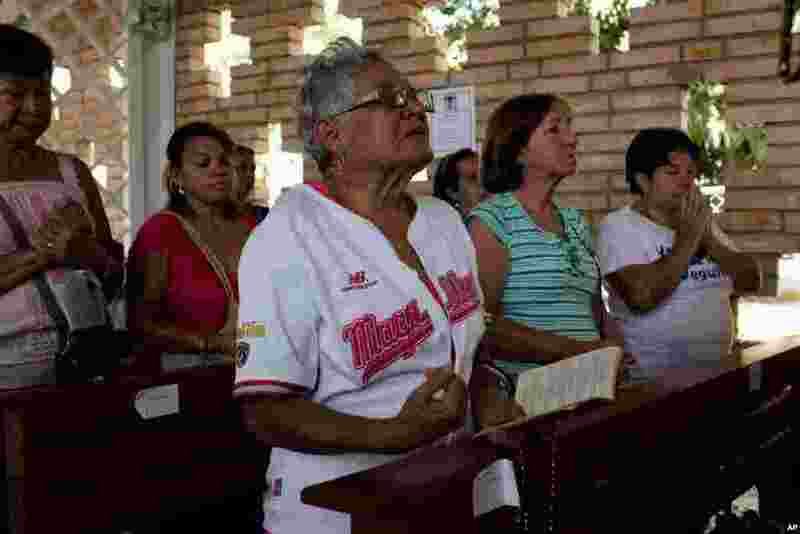 11 Supporters of Chavez pray for the ailing president at the military hospital's chapel in Caracas, March 5, 2013. 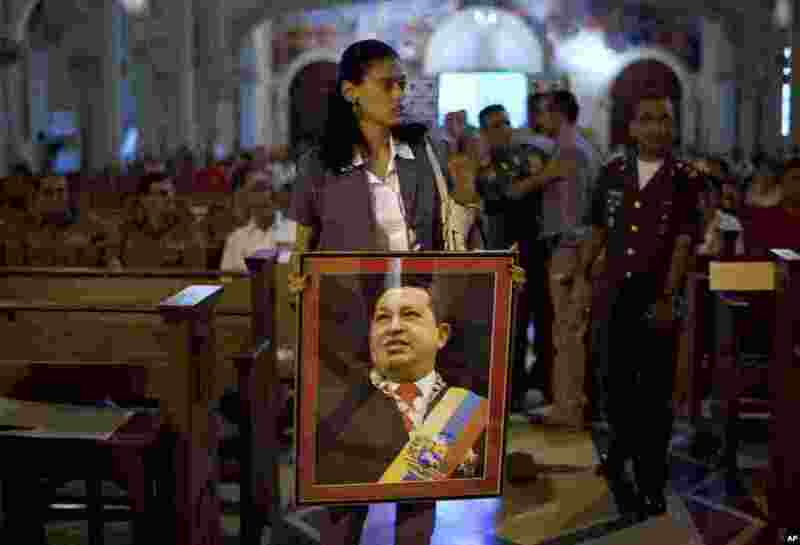 12 A woman carries an image of Chavez before a mass in support of him in Havana, Cuba, December 13, 2012. 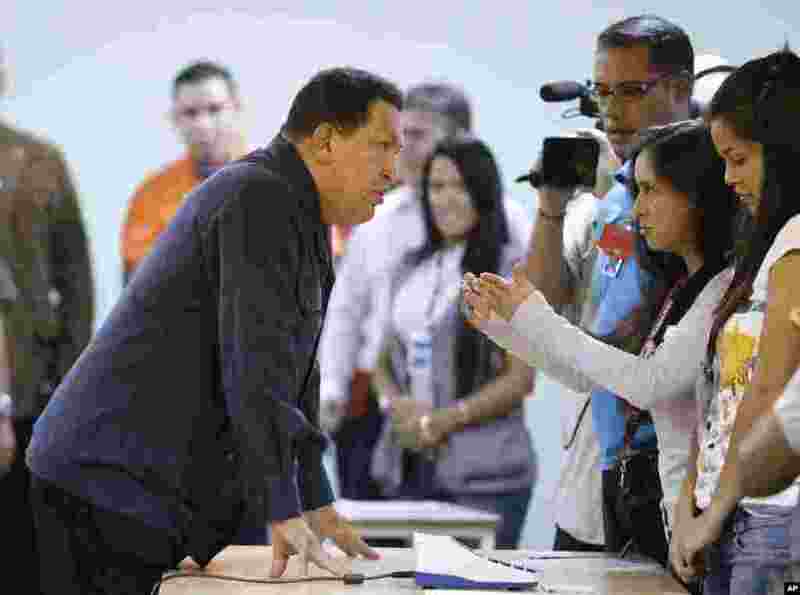 13 Chavez, left, speaks with an electoral worker at a polling station before casting his ballot for the presidential election in Caracas, October 7, 2012. 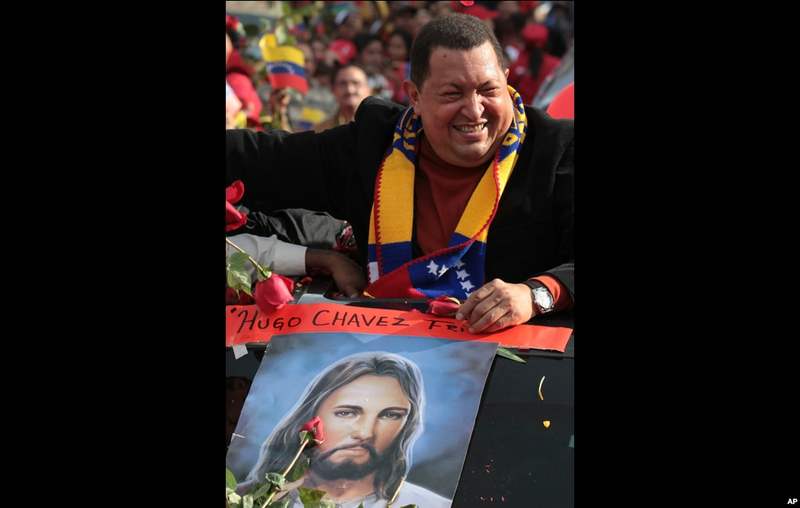 14 Chavez greets supporters during his caravan from Miraflores presidential palace to the airport in Caracas, February 24, 2012. 15 Chavez shares a moment with his daughter Rosa as he attends a concert in his honor at the Teresa Carreno theater in Caracas, February 23, 2012.